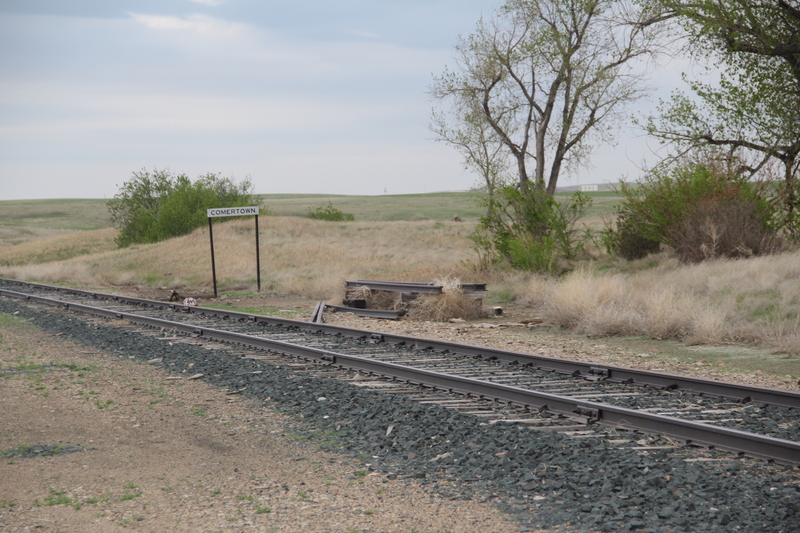 Twenty-six years ago, I wrote a brief essay titled, “The Soo Line Corridor of Northeastern Montana,” for Montana: The Magazine of Western History. I wanted to share images of resources and places that few Montanans knew about, much less ever visited. But it was an interesting corridor–an extension of the Canadian-based Soo Line into this corner of the state in the early 1910s. 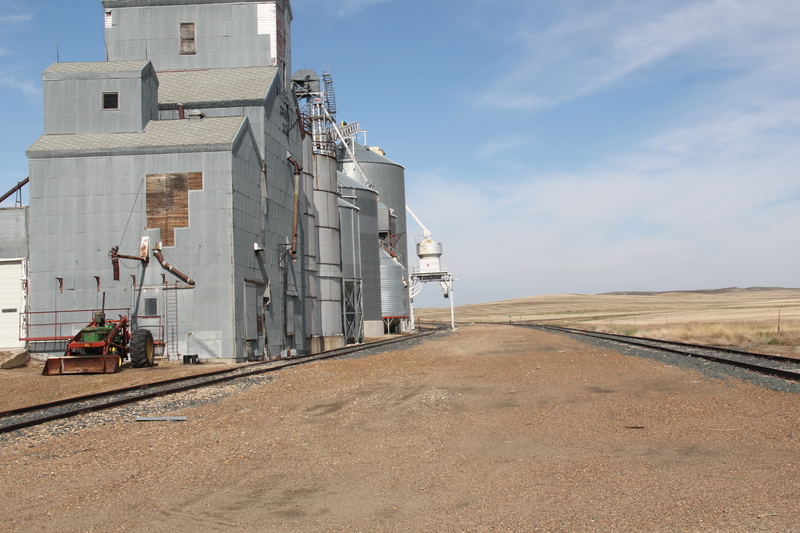 The railroad left behind small agricultural communities, punctuated by the company’s distinctive standardized combination-plan depots and grain elevators lining the tracks. What I found in the mid-1980s were compelling buildings that spoke of community pride, and boosterism. Those who created these spaces in the years before World War I thought they were establishing remote outposts with promise. But then came the crushing agricultural depression and resulting homesteading bust of the 1920s, compounded by the Great Depression of the 1930s. The communities hung on, barely, until the 1970s when towns like Dooley and Comertown became ghost towns. Whitetail and Outlook remained vital in the mid-1980s. But as I traveled into the region last month, I wondered what was left. Dooley and Comertown are almost to the point that the next generation may mean they are little but archaeological sites. Good National Register work took place in these towns in the early 1990s–20 years ago–so they have been recorded, which is good, considering the conditions today. 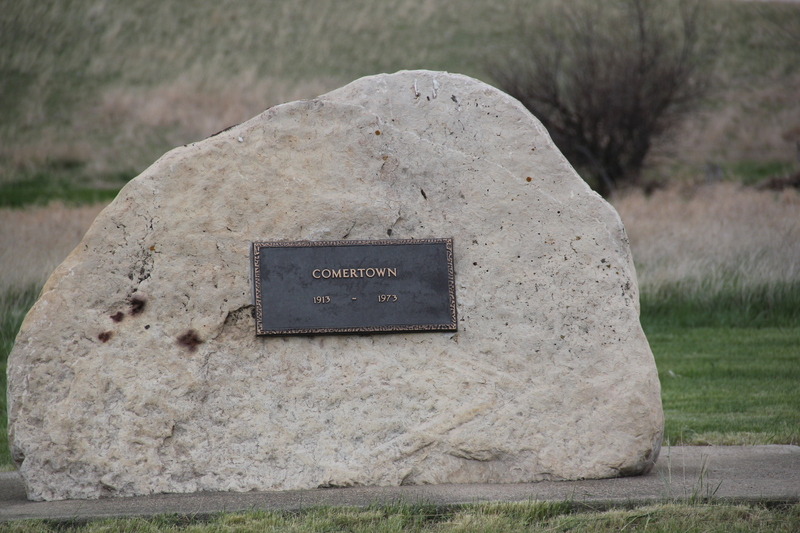 The rock with the metal plaque serving as a tombstone for Comertown is appropriate. The story is even bleaker in the next town down the line, at Dooley. 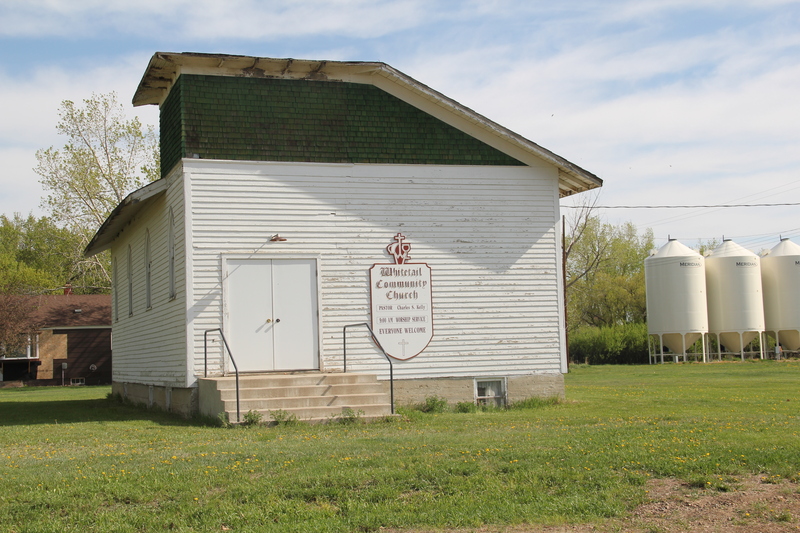 There the National Register-listed community church is in dire need of a new roof and preservation repair or it probably will not survive another 20 years. 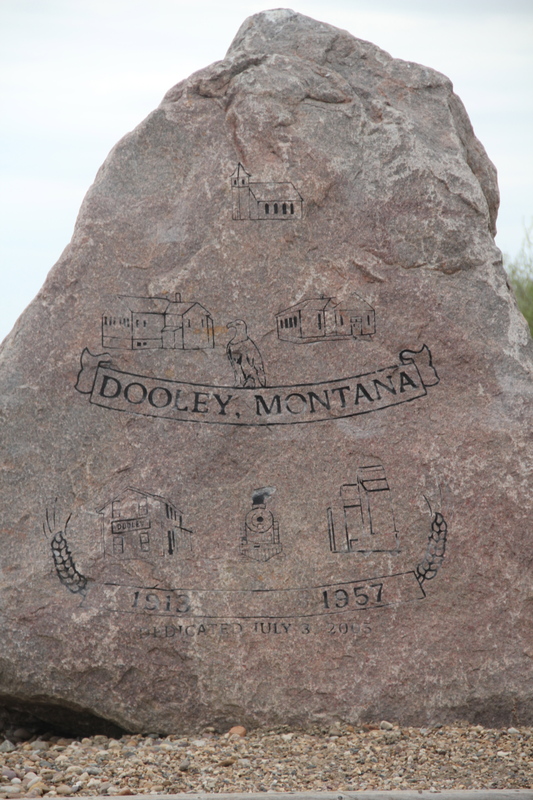 In 2005, the community had tried to permanently mark the landscape with their story by means of a huge boulder on which was etched the name and included depictions of landmarks now gone. But in less than ten years, the harsh environment of the northern plains had almost swept those images off of the boulder. Outlook, I hoped, would be a different story. But it has lost its National Register-listed Soo Line depot–it had its original pain scheme, outbuildings, and was in good condition when I was last there in 1988. Now only the corridor remains. 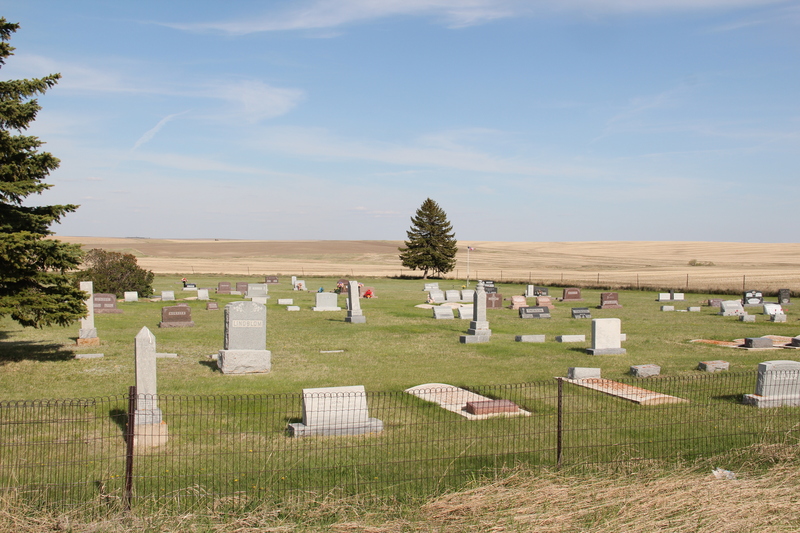 The town’s cemetery tells the story of how many were once there, and a post office, a bar, and other scattered businesses remained. 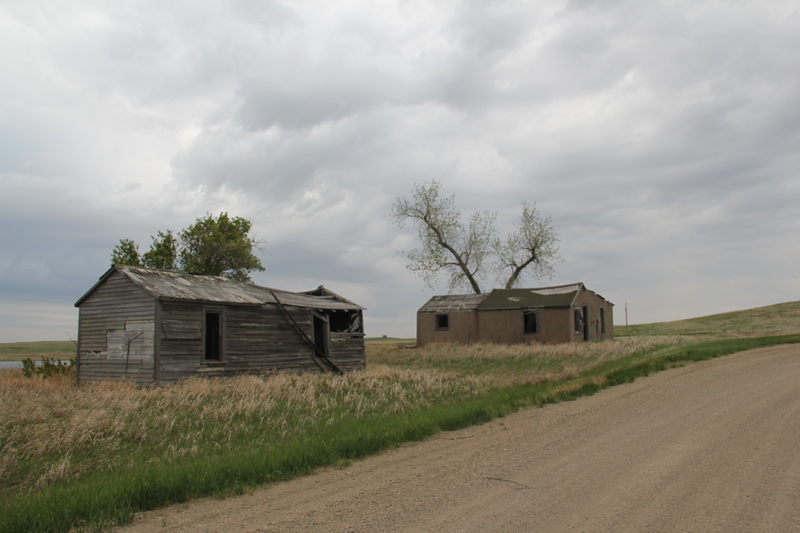 Not a ghost town, but like many northern plains towns, the decline from past prominence is startling. .
What about Whitetail–it is the first town after crossing the Canadian border on Montana Road 511 on the way to Flaxville in Daniels County. But the federal and Canadian decision to close the border crossing earlier this year landed a blow against what remained in the town. 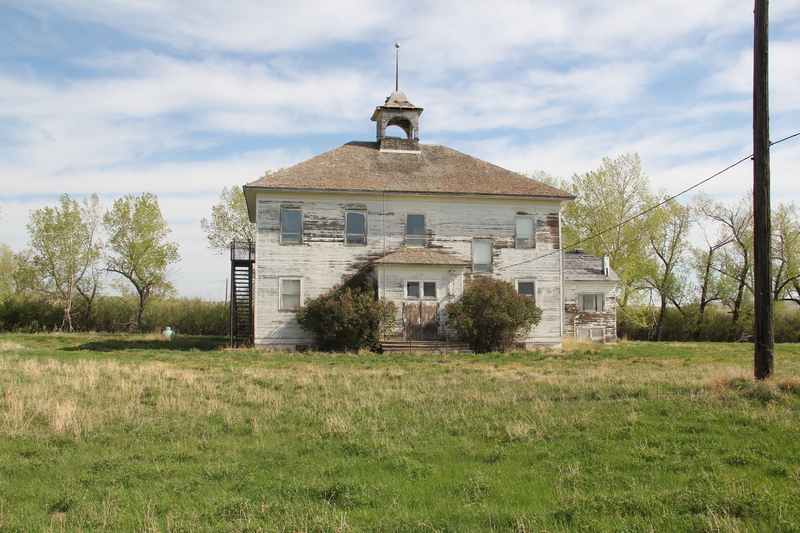 The c. 1913 community school, a true plains landmark when I first saw it in 1984, may not last another generation. 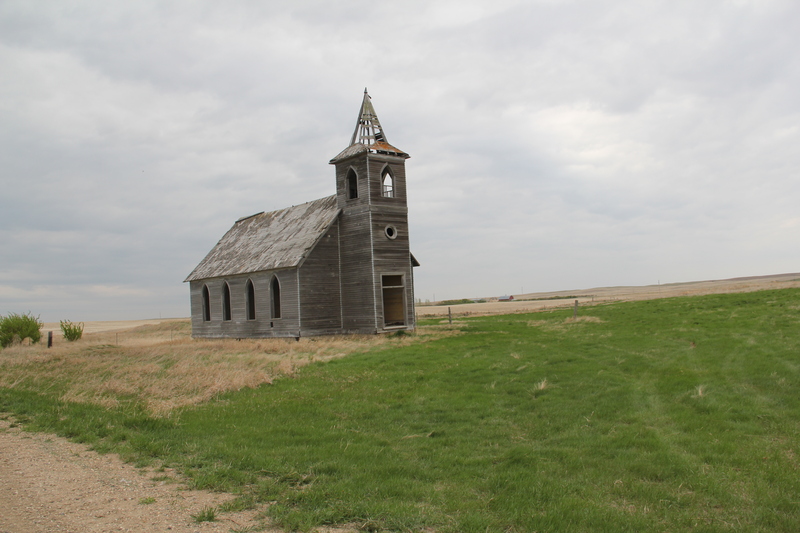 There is a community church and a post office, but one wonders for how much longer. 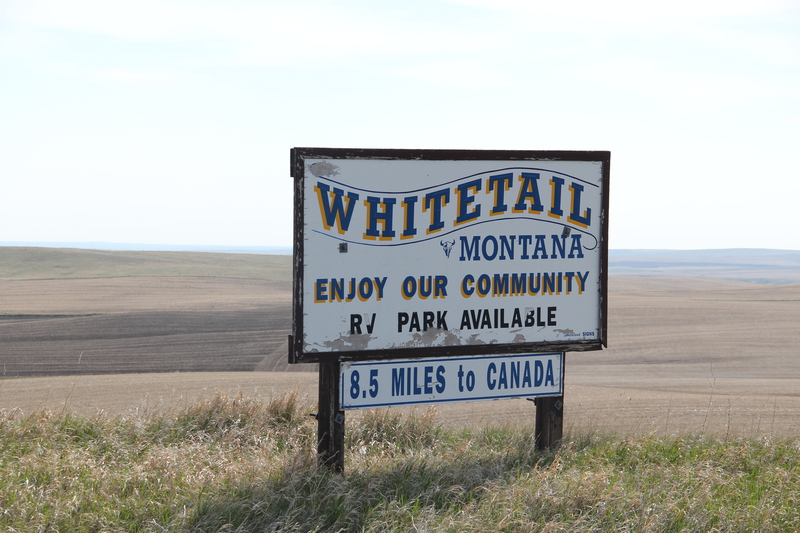 As this final view of the corridor in Whitetail shows, outside of the grain elevators and tracks, there may be little to remind anyone of this time and story in Montana history. 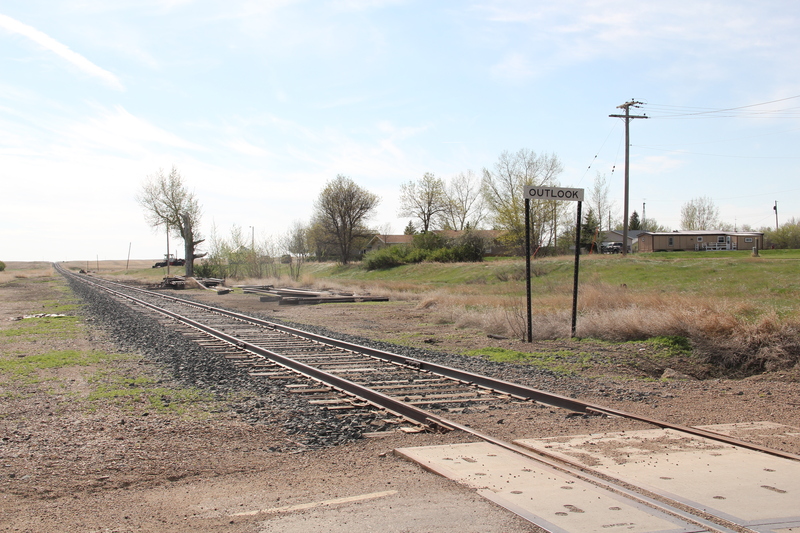 This entry was posted in Uncategorized and tagged Daniels County, Montana, railroad, Sheridan County, Soo Line by carrollvanwest. Bookmark the permalink. As the guy who did some of that National Register work 20 years ago, I wanted to say thanks for a very evocative post. I knew that both the Outlook depot and the Comertown grain elevator had burned a number of years ago, but it’s still disheartening to see how quickly things are vanishing up there. Reportedly, the railroad line to Whitehall hasn’t even seen a train in over a year, now, so someday it will probably go, too … the last real link to the past for some of those old townsites. My father was born in Whitetail in 1915, the oldest of three children. My grandparents homesteaded there and worked on the Soo line. Thanks for the peak into their history. My lovely aunt who was also born and raised in Whitetail just passed away last week at 98 years young.